The Singing School aims to the construction of the entire vocal personality. For 18 years we organize and carry out different singing meetings, designed for singer, choirmaster, pedagogues, private tutors and all who intend to build up their vocal knowledge. Solo, group and individual singing lessons in classical, jazz or pop style. To learn singing with the music professor Robert Feguš will lead you to the set aim by his wide knowledge of vocal elements. We accept invitations of choirs or groups of selected singers. The response from the vocal workshops or seminars all over Slovenia, Croatia, Austria and Italy were outstanding, evidence about that are numerous positive opinions of the participants. Singing joins. Vocal School was invited by numerous cultural and education institutions. Professional learning of singing for adults, young people, beginners and those with long singing experiences. We also responded to the invitations of the choirs. Polyphonic singing trains the ear for music. The cooperation in representative casts enables the vocal school the top level of singing in chamber surrounding. 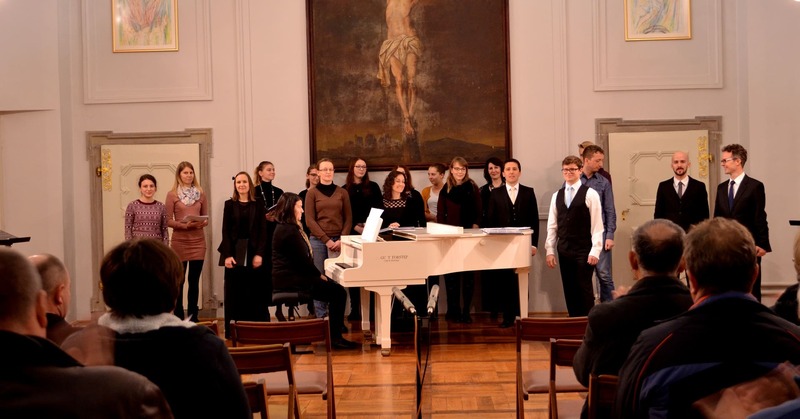 The vocal composition under the artistic leadership of Robert Feguš united singers from different places of Slovenia. A mobile singing application was published for the program Android – VOCAL TECHNIQUE. Many vocal advices, exercises to warm up before singing, audio - video supported. The work with singers is focused on challenges and blind ends, that occur as a consequence of habituated singing mistakes. If it is about making music solo or in a group. 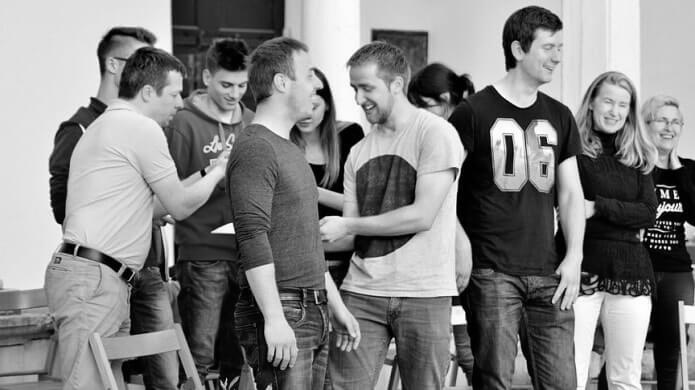 The vocal workshop is suitable for solo singers, vocal groups or so to say choirs. You share with us a vision of creating a growing, culturally educated society, you like the art of music reproduction at a high level and maybe you recognise a Petje.pro Singing School as one of the institutions of such activities in Slovenia. In time, when a state, companies and other responsible institutions are losing an ear for music and a sense for conservation of Slovenian culture, all we can do is to turn to you, our loyal listeners and supporters!